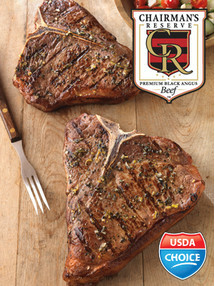 We are proud to sell nothing but Chairman's Reserve Premium Black Angus Beef and Hormel Natural Choice Pork. We support our local farmers and businesses. We carry local Colony Fresh Whole Chicken that are corn-fed with no antibiotics. Our meat department offers a wide selection of meat, fresh cut daily. We offer custom cuts, freezer wrap, and custom slicing service all at no extra charge. We prepare fresh smoked and marinated mouthwatering beef brisket, ribs, pulled pork, pork loin, homemade jerky, homemade sausage, kabobs, AND MORE! “If we have it, we’ll cook it!” ALL pre-cooked and available for order. Perfect for any event. 2-day notice is required for all pre-cooked foods. To order call us at 605-234-5559. Watch our weekly ad for other featured specials. Our extensive selection of hams, fish poultry and packaged meats are sure to please!